The Saharan Bedouin have long been nomads, but in recent years have become more settled. Early converts to Islam came from Bedouin tribes, and Sunni Islam is embedded and deeply rooted in Bedouin culture. Prayer is an integral part of Bedouin life. As there are no formal mosques in the desert, they pray where they are, facing the Ka'aba in Mecca. Bedouins are suspicious and alert, not revealing much about their personal background. 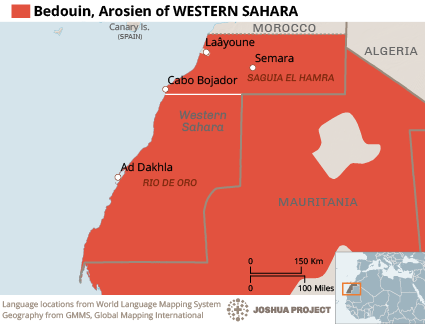 Western Sahara is difficult for outsiders to enter, especially for any kind of Christian ministry. Also, the Bedouin will likely be suspicious of the intentions of workers. Much sustained prayer is needed to prepare the Bedouin to receive the good news of Christ. Christian radio can penetrate the remote regions of the Sahara, as prayer continues. There are likely no followers of Jesus among the Arosien Bedouin, but pray for those the Lord will soon lead to himself. Pray they will be sent disciplers and teachers to help them grow spiritually. 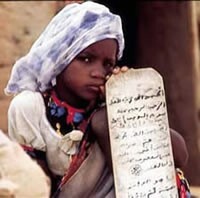 Pray the Bedouin will be given a growing desire to find forgiveness for their sin, and will yearn to know a loving God. View Bedouin, Arosien in all countries.